A diamond needs no introduction. It should just be presented — preferably in a box, while on one knee. But for those born in the month of April, they don’t need a pre-nuptial to be given this super sparkly jewel. It’s simply their birthright. 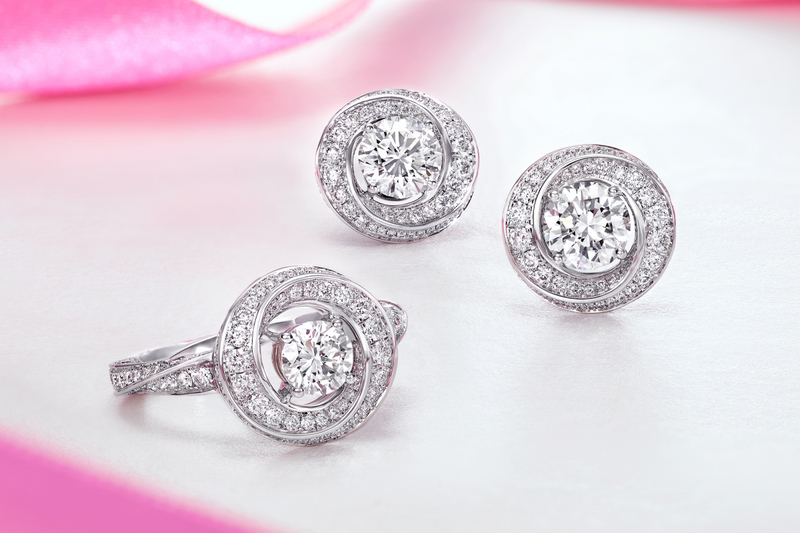 Diamond, the birthstone of April, is commonly associated with love. And we don’t blame you for thinking so. With a name that derives from the Greek word adamas, meaning invincible, the very hard stone of crystallised carbon might as well symbolise something as strong as commitment. Way back when, diamonds were thought to have magic properties. They were worn in ancient Rome to protect against poison or attack and formed an essential part of the breast plate of important people. Diamonds were cut in relatively simple and unspectacular forms. This was until the middle of the 20th century where GIA first created the standard for describing diamonds. Today, the 4Cs — colour, clarity, cut, and carat weight — of a diamond are the worldwide method for measuring its quality. With more sophisticated cuts, the beauty of how light passes through and gleams upon a diamond is unmatched, making it the most popular gem for jewellery around the world. Diamonds in their natural form are the hardest natural substances on the planet, and they are believed to have been around for billions of years. Further propelled by De Beers’ famous marketing catchphrase — “A diamond is forever” — its reputation as a tough nut to crack was sealed forever. A diamond’s molecular structure is tremendously robust, scoring the highest 10 on the Moh’s Ordinal Scale of Hardness. It will retain its structure indefinitely, unless it gets really, really hot. But while nothing technically lasts forever, diamonds will outlast us, our planet and likely most of the universe. For its longevity and luminosity, diamond’s been sought after by jewellers to make rings, bracelets, necklaces, earrings and all kinds of fine accessories. Out of 1,000 polished diamonds, only one will weigh more than one carat. So when a rough diamond the size of a ping pong ball is found, you know it’ll cost more than a couple of million dollars. While white diamonds are most common, fancy coloured diamonds can be found in various colours including yellow, blue and pink. Here, we have some of the most luxurious pieces of jewellery utilising diamonds.